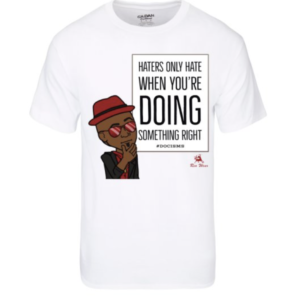 The Hater Tee is the newest MiniDoc T-Shirt created, and currently the most popular pre-order. More than a few will be made and almost always out of stock. Available for pre-orders. Only 100 of all colors will be produced. – Gildan® DryBlend® Adult T-Shirt. – Five different color Tees with colorful graphics. – Image of MiniDoc hungry and drooling. These Tees will go quickly, so get them before they are in stock. 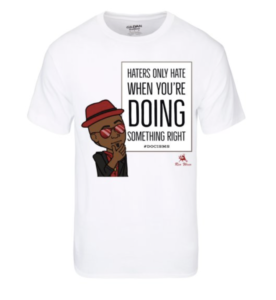 To Purchase, the Hater Tee Click the Thumbnail Below.